Home > Shop > Hot colorful onyx stone smoking weed pipe. Hot colorful onyx stone smoking weed pipe. New handmade Hot 3.5" long. colorful onyx stone smoking pipe for weed free gift free shipping within the US. 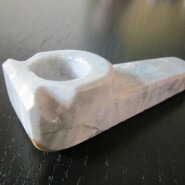 This new handmade hot colorful stone smoking pipe made from natural organic onyx stone with connection to nature. most pipe smokers here and around the world use this method of smoking pipes to get connected with nature while enjoying the stone pipes smoking better then unnatural materials.